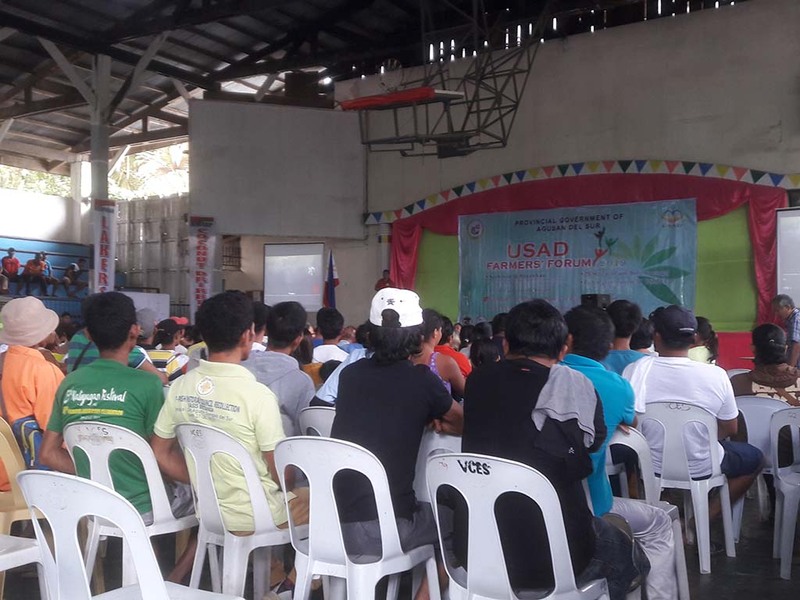 Farmer-enrollees from different municipalities of Agusan del Sur listen well to the main goal of the USAD Cluster Forum 2019. VERUELA, Agusan del Sur – The Agricultural Training Institute – Regional Training Center 13 joins the Provincial Government of Agusan del Sur (PGAS) in the conduct of Upland Sustainable Agri-Forestry Development (USAD) Farmer Enrollees’ Cluster Forum 2019. The series of activity runs from February 1-15, 2019 in eight municipalities namely, San Luis, Talacogon, Veruela, Sibagat, Esperanza, Loreto, Trento and La Paz. Said forum enables farmer-enrollees to understand the long-term development goals of PGAS and the provincial roadmap of the following commodities: Rice, Corn, Cacao and Rubber Industries. It also serves as venue for sharing of experiences and discussion of issues and concerns relative to project implementation. In one of its schedules in Veruela last February 5, 2019, which was attended by Ms. Mary Jane A. Gonzaga, Development Management Officer I, ATI disseminated the various extension services available for farmers. Majority of the farmers in Del Monte, Veruela manifested their need for a training on cacao production. The farmer-enrollees also availed basic social services such as free medical and dental check-ups and scholarship programs among others. Complementing these efforts were representatives from the Department of Health, Department of Education, Philippine Army and other stakeholders. USAD is the flagship program of PGAS to address poverty and food problems by adopting appropriate technologies in upland farming (with report from Mary Jane A.Gonzaga).